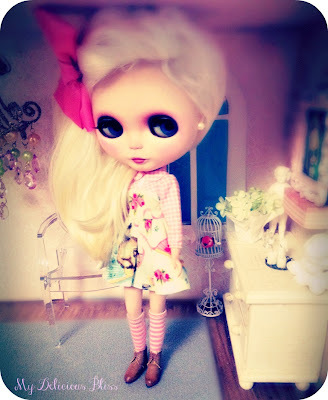 This is Becca, my daughter, KK In Lala Land's gorgeous Elle Woods Custom Blythe SBL Birdie Blue. She won Becca at last years Halloween Meet raffle put so generously donated by Blythegalaxy. KK commissioned Lindsey (Ellewoods) to customize her last year and we have had her wearing a beautiful mohair wig that Lindsey generously allowed her to borrow until Becca got her dream scalp. 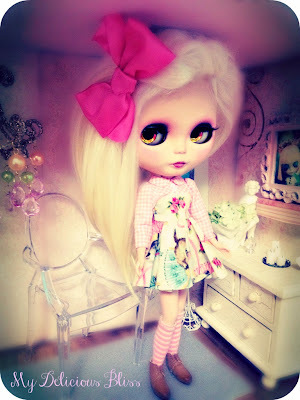 Yesterday it came, the elusive Pearl Angora Skinny Scalp by Unicornmine. She has been waiting so long for it, and I must say it was worth the wait. Her hair is her crown and glory! It is just so beautiful, lush and silky. 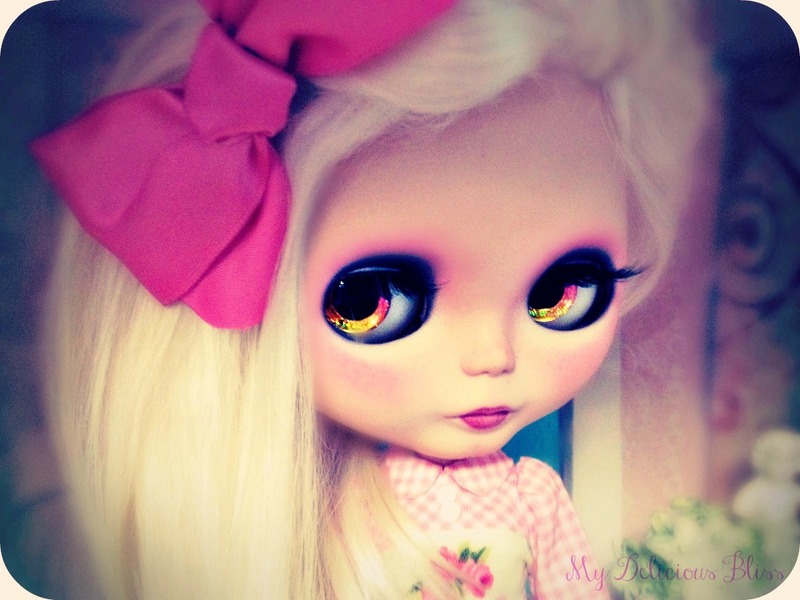 Becca is now complete, and Lindz can finally get her wig back LOL!!! !